Accounting & Bookkeeping | Global Taxation & Accounting Service Inc.
Accounting Concepts and Principles are a set of broad conventions that have been devised to provide a basic framework for financial reporting. As financial reporting involves significant professional judgments by accountants, these concepts and principles ensure that the users of financial information are not mislead by the adoption of accounting policies and practices that go against the spirit of the accountancy profession. Accountants must therefore actively consider whether the accounting treatments adopted are consistent with the accounting concepts and principles. Bookkeeping in the context of a business is simply the recording of financial transactions. Transactions include purchases, sales, receipts and payments by an individual or organization. 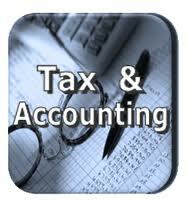 Many individuals mistakenly consider bookkeeping and accounting to be the same thing. This confusion is understandable because the accounting process includes the bookkeeping function, but is just one part of the accounting process. The accountant creates reports from the recorded financial transactions recorded by the bookkeeper and files forms with government agencies. There are some common methods of bookkeeping such as the single-entry bookkeeping system and the double-entry bookkeeping system. But while these systems may be seen as “real” bookkeeping, any process that involves the recording of financial transactions is a bookkeeping process. 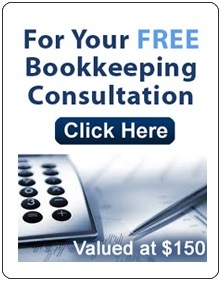 Bookkeeping is usually performed by a bookkeeper. A bookkeeper, also known as an accounting clerk or accounting technician, is a person who records the day-to-day financial transactions of an organization. A bookkeeper is usually responsible for writing the “daybooks”. The daybooks consist of purchases, sales, receipts, and payments. The bookkeeper is responsible for ensuring all transactions are recorded in the correct day book, suppliers ledger, customer ledger and general ledger. The bookkeeper brings the books to the trial balance stage. An accountant may prepare the income statement and balance sheetÂ using the trial balance and ledgers prepared by the bookkeeper. We offer accounting and bookeeping services using all strategies that reduce your tax payable and we take care your business for income tax and management Â concern. You do not have to worry about it. Other relating matters of your business. How Canada Revenue Agency begins an Audit? Submit your email address to receive notifications from the CRA via email if you wish.